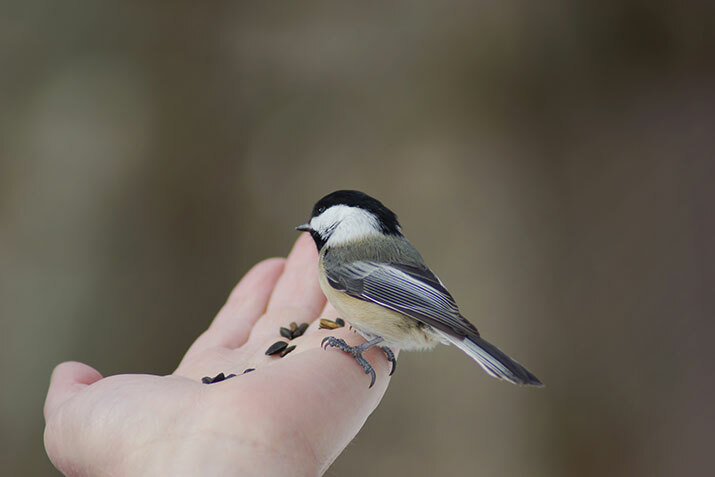 Canadian Wildlife Federation: Can birds taste things? Can birds taste things? For years, people have thought that birds depend less on their sense of taste than people do. It turns out birds are more complicated creatures than that. The European starling (brought over to North America from England) has a phenomenal sense of taste. They can taste salt, sugar, tannins and even citric acid. They can even make a distinction between table sugar and other kinds of sugars – a helpful ability considering they can’t digest table sugar easily. Unfortunately not all birds have a good sense of taste. Penguins, for instance, can only taste salty and sour flavours. Over time, it seems that they’ve lost three of the five basic tastes, limiting their enjoyment of their food. Hummingbirds thrive on nectar. But how do the birds tell the difference between the sweet stuff and other fluids? That question has puzzled scientist for many years because hummingbirds, like other bird species, do not have “sweet” taste receptors. But a new study led by Harvard’s Maude Baldwin and Yasuka Toda, from the University of Tokyo, sheds light on the mystery. Through genetic sequencing of several bird species and analysis of genetic mutations related to taste, Baldwin and Toda have determined that ruby-throated hummingbirds and Anna’s hummingbirds have, over millions of years, rewired taste receptors normally associated with savoury flavours so that they can identity sweet flavours. Bald eagles seek out fish, aquatic birds and mammals to fill their bellies. But they’re not particularly picky about how they acquire their prey. They seek out live sickly animals or those that have been wounded by hunters. They also steal prey from other animals and scavenge on carrion too. Since they have no sense of smell to let them know whether the animal is still edible, they rely on their sense of taste. If the animal tastes spoiled, they’ll opt for another prey. It’s not the tastiness of the seed you have in your feeder that keeps songbirds coming back for more. It’s the colour of the seed that makes them beeline to your backyard. That’s right. It turns out songbirds have fewer than 50 taste buds (humans have 9,000!) so they rely on touch and sight to find the best food. Vision, in fact, is extremely significant to songbirds across the world – they prefer foods that have a high contrast (red, black, blue and purple for instance).